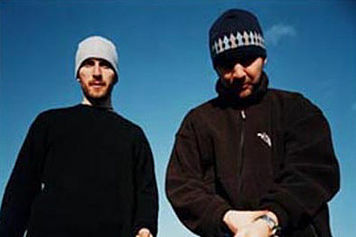 Boards of Canada REMIX by XARJ – CD 32 – March 30, 2004 — . :: 8 minutes ::. In this remix, i start the song with a loop i made from a song by “Boards of Canada“. The loop will remind you of the Star Wars theme song; dark side of the string. I don’t remember the name of the original boards of canada song, so if someone recognizes it, let me know! I love starting a song using a progression; meaning i gradually add the instruments on the different sound tracks. It sounds good and it’s easy to make! This remix is a good example of a progression “a la xarj“. Later in the song, you’ll hear my singing, melancholic voices… It adds to the dramatic aspect of the song.